Last night on Black Friday, WheresChappell released a second colorway of his popular Donnie Darko resin figure as part of a 2 figure set with Frank the bunny! For this release, Donnie comes holding an axe (instead of Frank’s head) and wearing his signature skeleton suit with adidas campus combo sneakers. 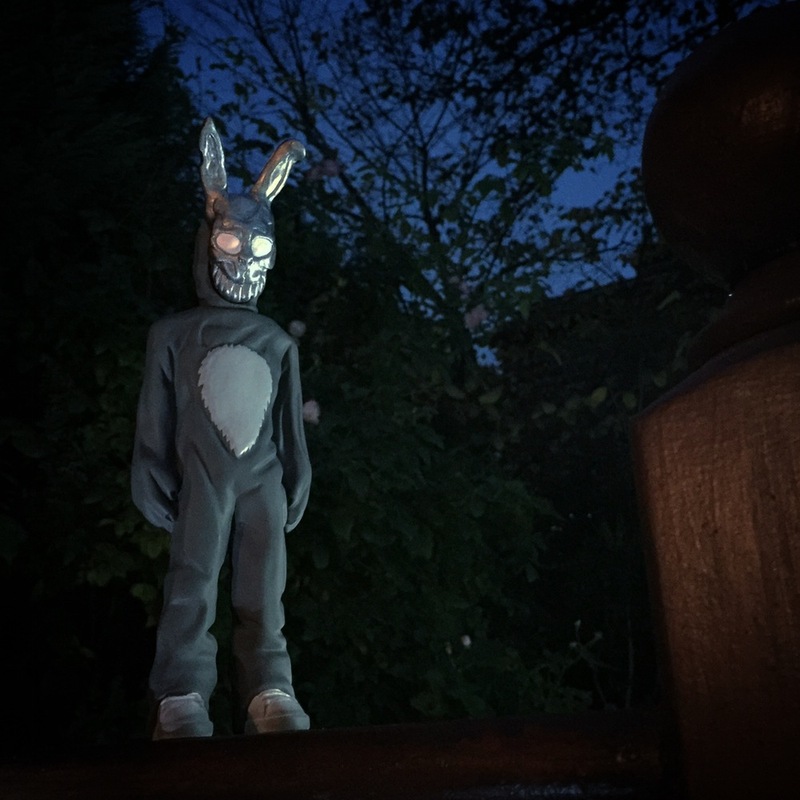 Frank comes rocking his iconic bunny suit. What an excellent addition to WheresChappell’s ongoing line of pop culture inspired resin figures featuring some of your favorite characters from movies, television and comic books rocking classic sneakers. Donnie stands 19cm tall, while Frank stands 12cm tall. Both figures feature dyed resin with some hand painted pieces. 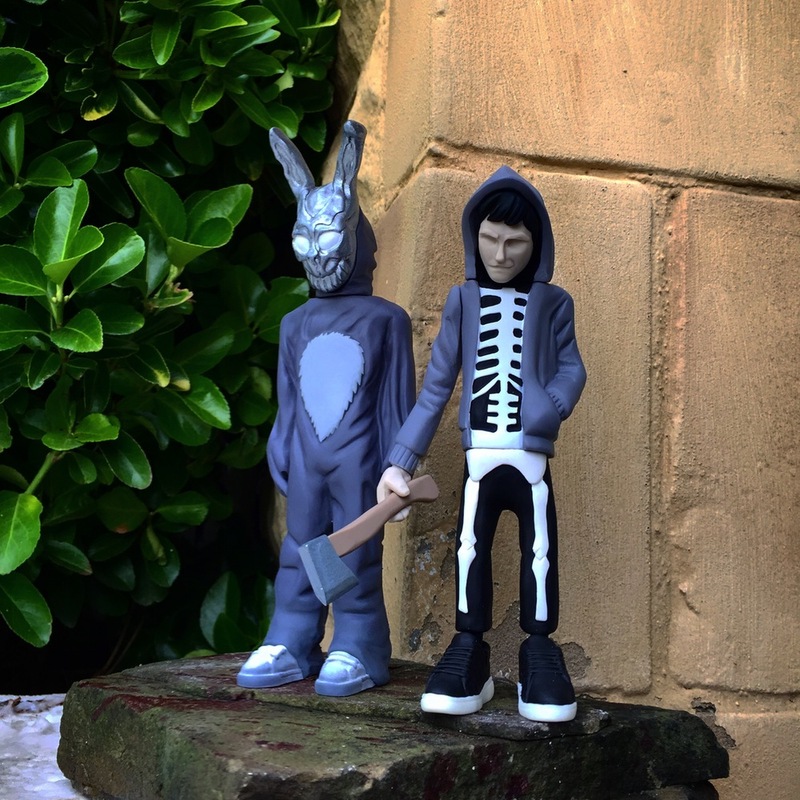 Collectors can pre-order the Donnie Darko Resin Figure Set now for £48.99 or Frank the bunny individually for just £24.99 at the Cracked Hatchet online store. But get your orders in ASAP, as these figures will only be available for pre-order for one week (or until sold out) from now through December 2nd, 2016.